Accolade's Medical Transcription Service gives you the confidence that your patients' records will be accurate, complete, and up-to-date. We strive to maintain 98.5% accuracy rate demanded by the AMMT and comply with the security standards of HIPAA. We not only give you the confidence your records will be complete, accurate, and on time, we strictly adhere to your patient confidentiality concerns - and confidentiality concerns of you patients. With our encrypted file transmission, you won't need to worry about who knows what about whom. For an audit trail, we give you a daily report with patient's name, file name, date of service, your transcriber's ID number, and the number of lines transcribed. 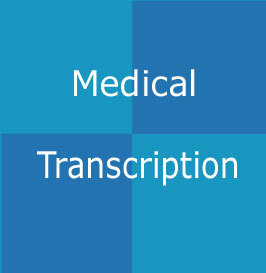 With so much at state, you want the confidence your transcription is correct and the knowledge that it is confidential. We put our guarantee on both.